A child’s development can often be accelerated by daily interactions with the family pet. Their young minds grow a great deal through their social and emotional bonds. Instead of providing scientific facts to backup this theory, here are 22 photos that without a doubt prove that it’s true. Meet Coco-chan, the dog who relaxes millions of people online by calmly eating things. Coco-chan is a Golden Retriever, Coco-chan lives in Japan, Coco-chan is extremely polite (I already said it lived in Japan), and Coco-chan likes to slowly eat fruits and vegetables, which many people on the Internet apparently find soothing. 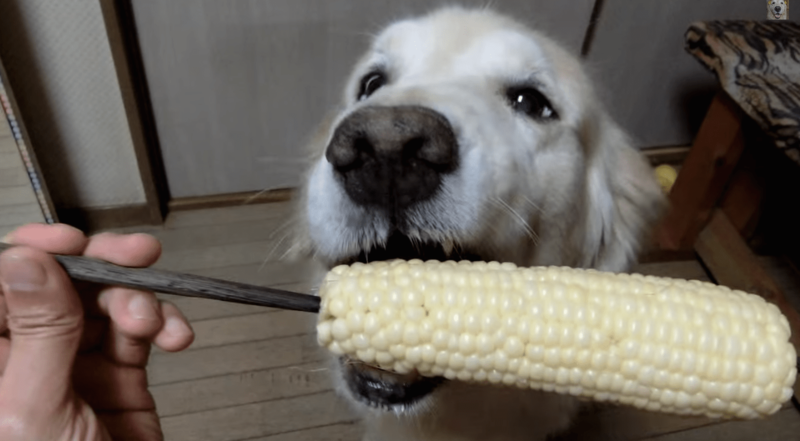 Just in time for everyone’s big July 4th barbecues, here’s this happy pup eating some corn on the cob. You may think it doesn’t get any cuter than a chubby white bunny with floppy ears. But it does. How about a chubby white bunny taking a stroll with his adorable feline friend? This odd couple is too cute for words. Check it out! Getting out the message about ending animal cruelty is essential. But depending on the method, viewers can either become engaged or get turned off. Some advocacy groups resort to shocking tactics to get their point across, but there are also organizations that run campaigns designed to start a meaningful and effective conversation. From targeting wildlife crime to circus training methods, these nine advertisements inform and provoke positive action. 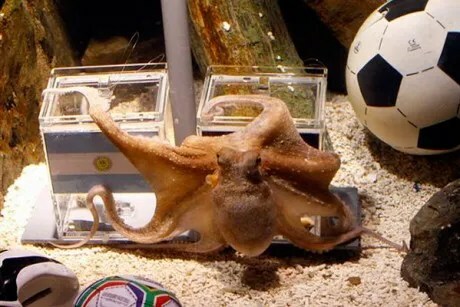 Paul the Octopus, whose extraordinary psychic abilities made him an international star in the 2010 World Cup, can rest in peace. Animal oracles around the world have taken on the mantle of predicting the winners of FIFA World Cup matches in Brazil. From a clairvoyant kangaroo in Australia to a soothsaying sea turtle in Brazil, there is no shortage of animal tipsters sharing their predictions for the month-long tournament. Parrots crack me up. I always wondered if they knew what they were saying or if they just mimicked what they heard. This guy makes me think he definitely knows what he’s talking about! What do you think? Is he really trying to get the stuffed bunny to play with him? First he’s saying “Peek-A-Boo,” but at 1:24 I swear he’s telling the bunny to wake up! Poor parrot. He can’t get his new friend to play with him! Lucky for him his parents are keeping him company; it’s no fun not having anyone to talk to!